Excuse me, how much was that croissant? 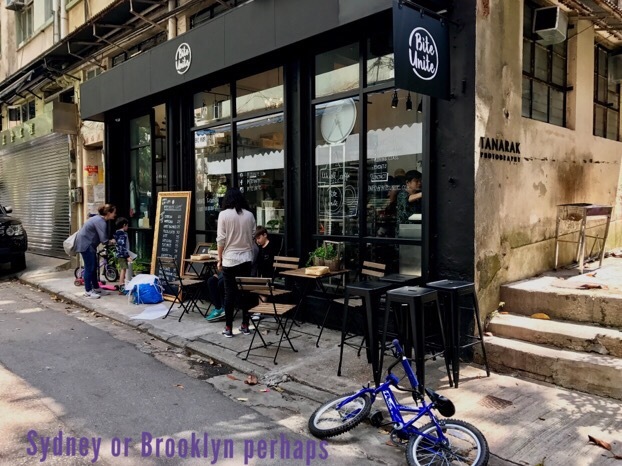 Wanchai has recently been experiencing a bit of a battle of the bakeries (we’ll chat soon about the battle of the burger joints). Not more than 5 years ago, there were only local bakeries selling their sweet breads. Then Passion made its debut and was a great hit with everyone looking for something more upmarket, like an authentic croissant (Not just rough folded in the shape of a croissant aka Swiss bakery… that was just disappointment in a paper bag) or a sourdough loaf. Kayser soon muscled in and now have two bakeries within 300 meters along Queens Road East. 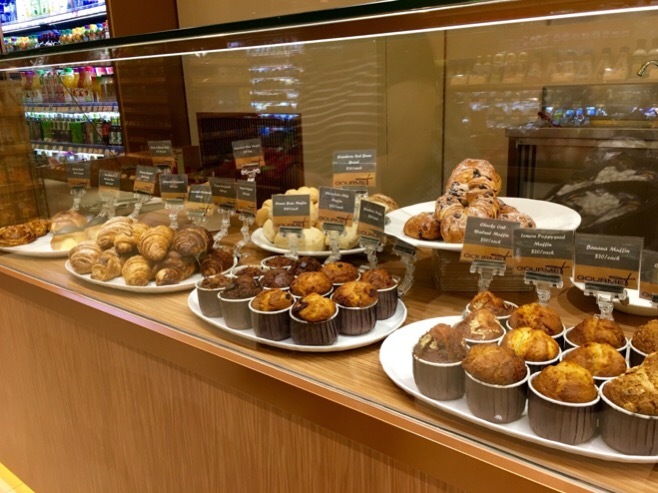 Now, we have a several cafes and bakeries that serve baked goods and pastries… La Station, Le Pain Quotidien, Bakehouse and most recently Big Grains on Tai Wo street (turn left at Hang Seng bank on Johnston Road). The price of the croissant has steadily risen at each new bakery. Originally $14 at Kayser, it’s now $16 at the new Passion and LPQ. Then $18 at Bakehouse and $23 for the classic at Big Grains. All the bakeries appear very busy and are doing brisk business with clientele either dining in or taking away. 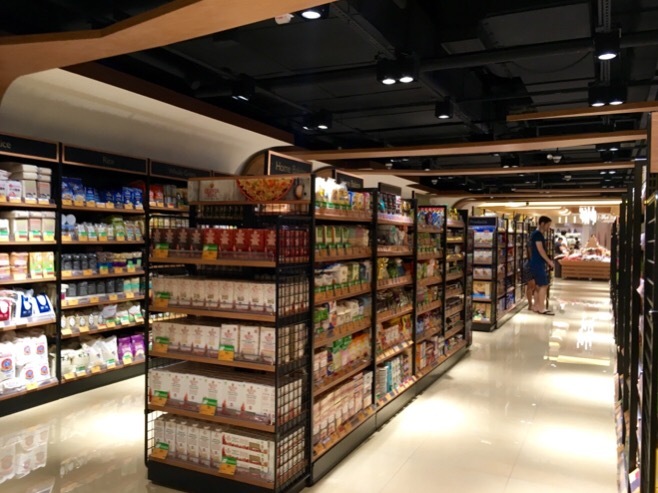 Big Grains is the only bakery with no seating section so it’s like a traditional chinese bakery with a modernised display and selection. 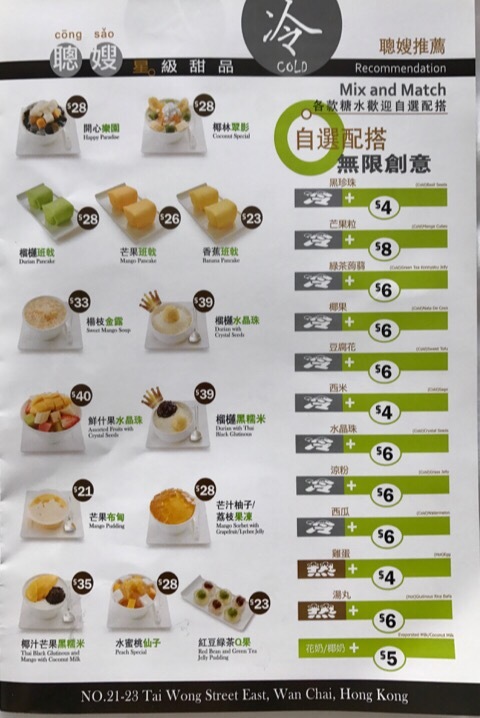 At $27, you’re halfway to a meal deal at a local Hong Kong Cafe. Will one of these croissants be as satisfying? Then there’s this strange bun called “chocolate soil” charming name. 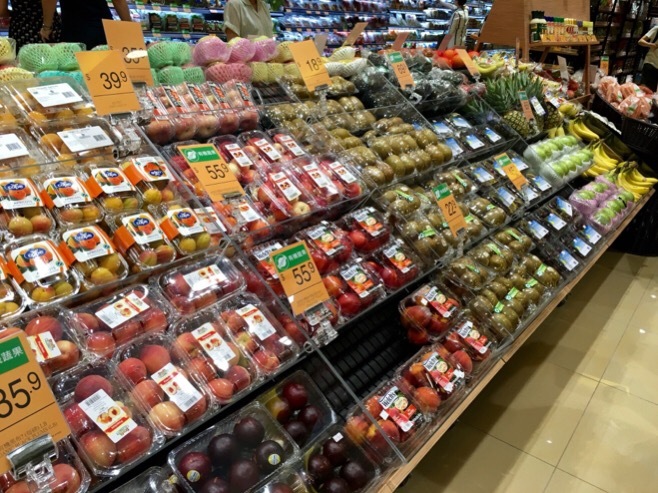 A selection of creamy sweet treats in the refrigerated section. A new take on the Swiss roll at traditional bakeries. More cream less sponge it looks like. Check out the price for a whole roll… that’s maybe 4-5x of what the traditional bakeries like ABC, Happy Cake, A1 bakeries charge. Is it really that good? 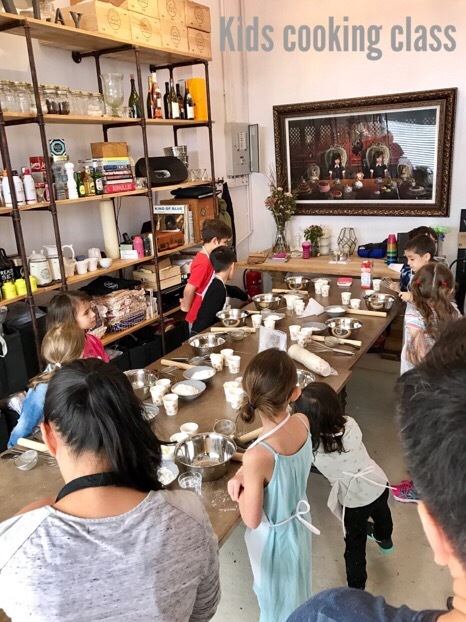 Giving Japanese bakery Yoku Moku some competition..? Who can forget cookies? These are ovo lacto vegetarian. So if you know of anyone who is on a restricted no-egg no-dairy diet, this would be the first bakery in Wanchai to cater to them 👍. Watch out for the nuts though, and sticker shock when paying the bill. Every once in a while, I get a doughnut (donut if you’re American 😀) craving. 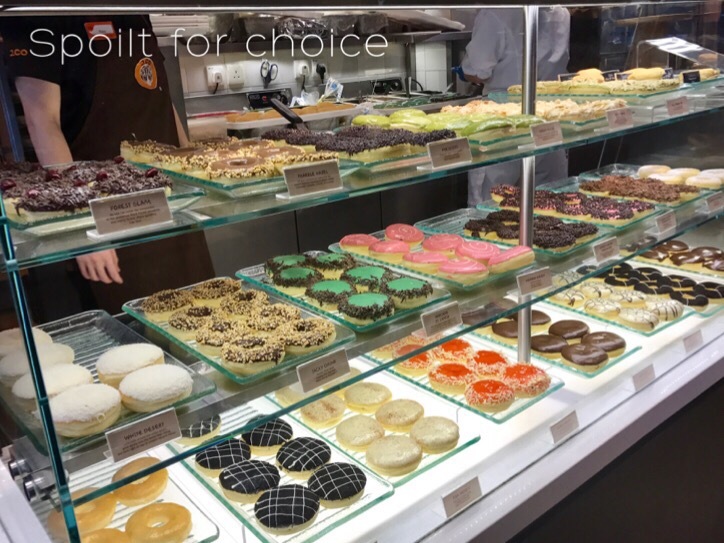 Oh where to go for a simple doughnut that will hit the spot? Most local style doughnuts are a bit chewy and leave a lot of sugar crystals all over the place. 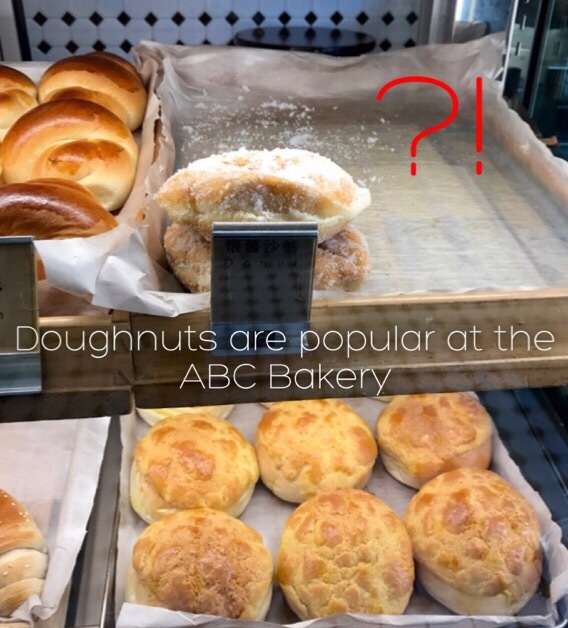 I’ve had ones from the ABC Bakery, the takeaway section at Taste, and the one from Happy Cake Shop on Queens Road East. Personally, I quite enjoy the JCo ones for the airy texture (not chewy or doughy) and it’s “not so sweet” on the palate. 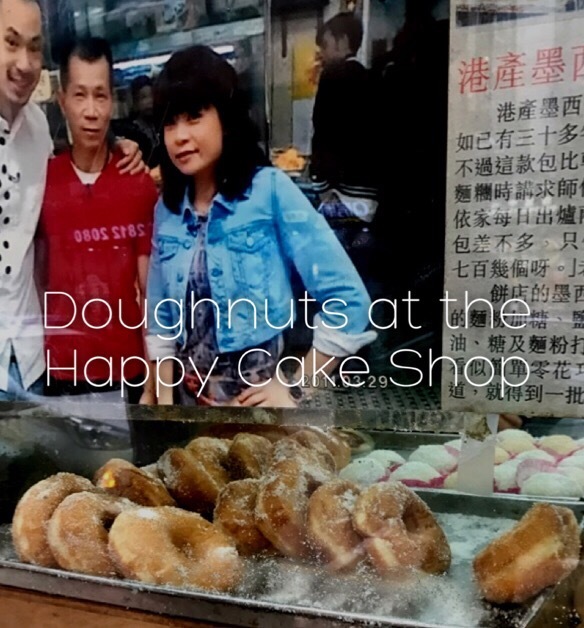 Here are some photos for you to decide where to go for your doughnut fix in Wanchai. 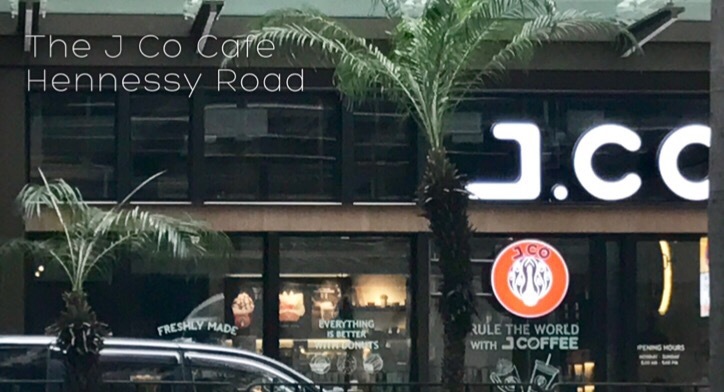 Apart from the texture and consistency of J CO’s doughnuts, they also have a nice cafe setting for you to enjoy your doughnut, elevating it from a grab and go snack in a bag to a pastry status. It’s warmly decorated, spacious and well lit. There’s also a ramp entrance, a huge plus for strollers and prams. So here’s the one I had. Non glazed basic doughnut which was an absolute delight. 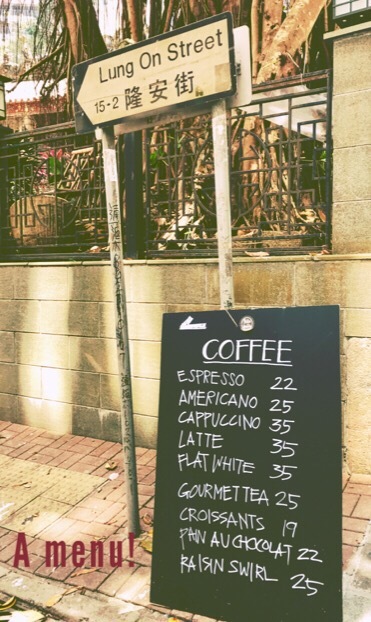 Find them at 55 Hennessy Road. It’s on the side of the street heading down towards Causeway Bay, or check out their Fb page here. 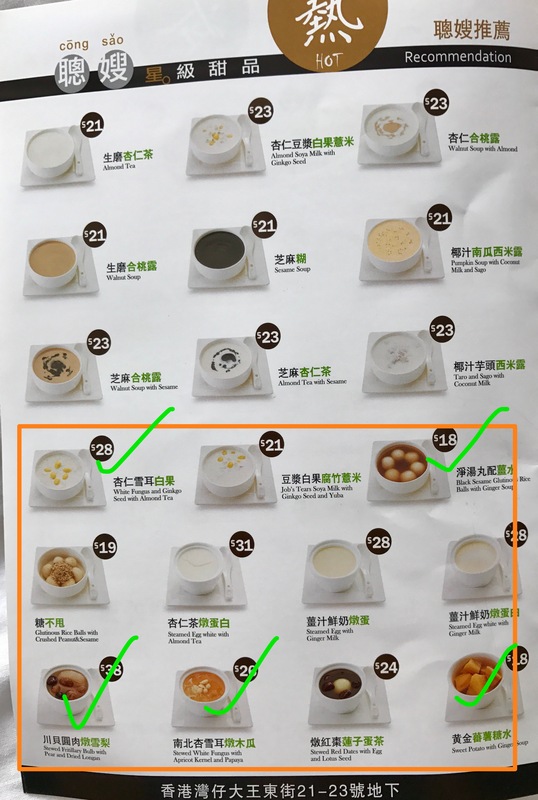 I really thought I’d blogged about this dessert place before… so when HP told me he had a cold and was looking for something ginger-soupy, I wanted to refer him to my blog. But, no I hadn’t! 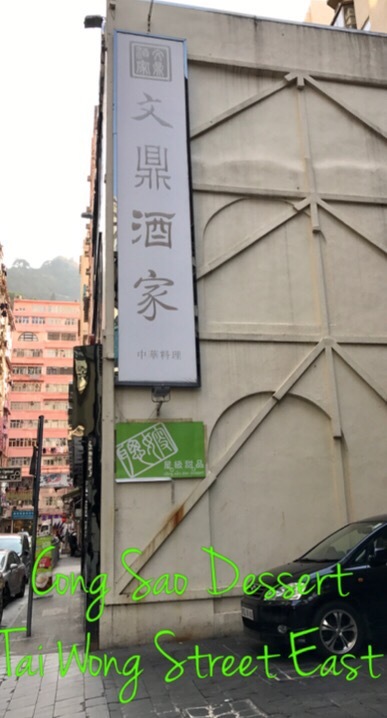 That was an article I wrote for another blog in reference to the Cong Sao Dessert branch in Sharp Street, Causeway Bay. How could I have missed this important little gem?! 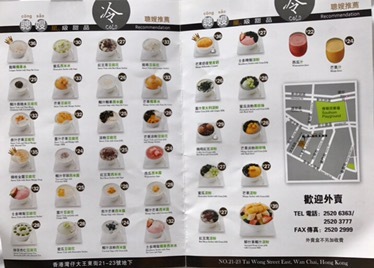 Chinese dessert shops are commonly found in Causeway Bay. They are littered all over (also in Times Square, CitySuper food court) with a particular concentration near the bus stops on Canal Street East and on Sharp Street. 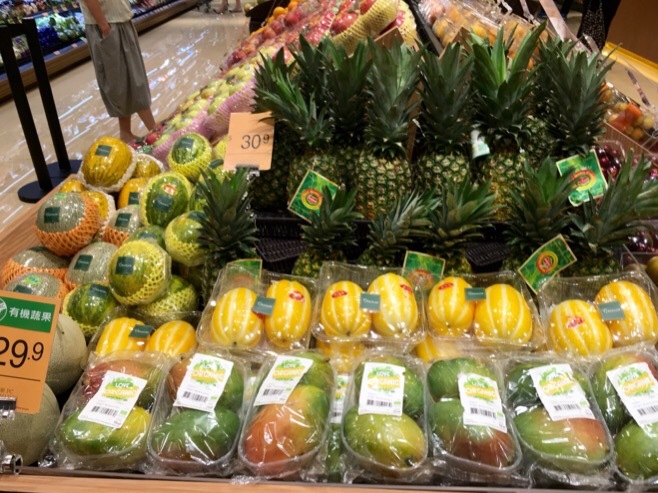 The desserts usually consist of either shaved ice (cold) with all possible combinations of fruit, jelly, beans, nuts or soya. Hot desserts tend to be creamy or gingery soup bases with a variety of ingredients like ginkgo nuts or snow fungus. I have a soft spot for chinese hot desserts, my mother used to make them at home. We would have Cheng tng (light soup) which was hot, sweet and constituted of dried longans, sago pearls, white fungus and fresh ginkgo nuts. 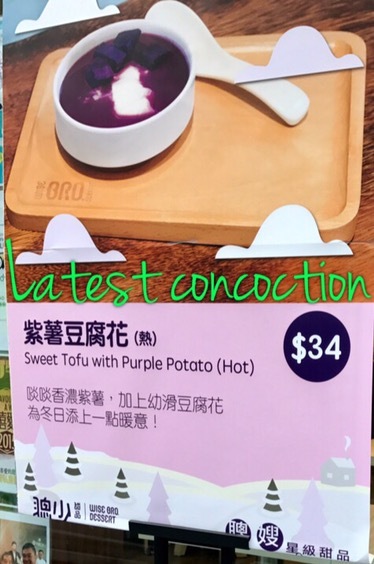 This is hard to find here but at least Cong Sao Desserts has some soupy stuff that I’ll resort to when the craving hits. Ok back to the mission. Wan Chai. 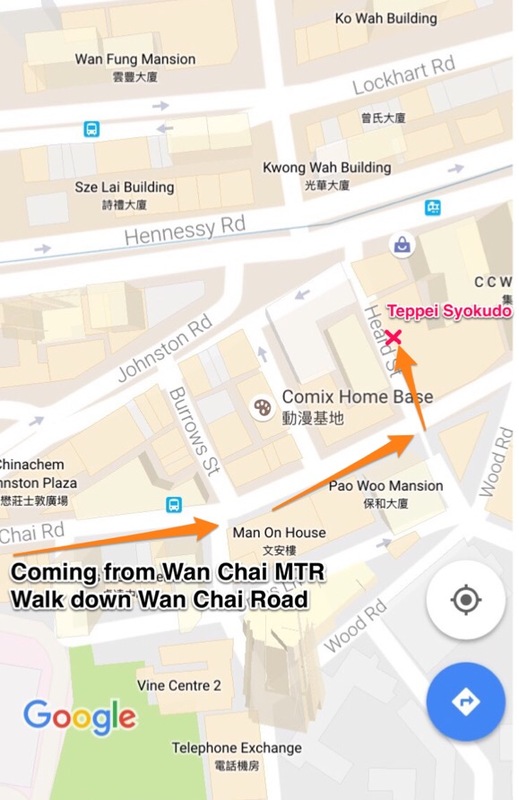 Cong Sao Desserts is on Tai Wong Street East, just a few steps away form the Pawn. 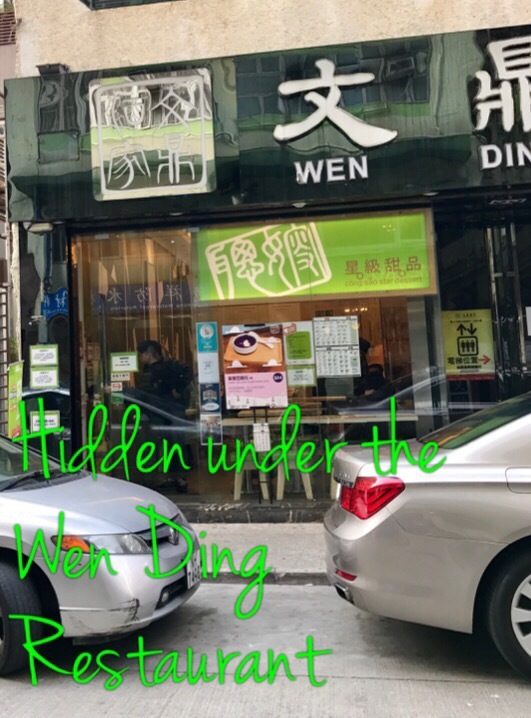 It takes up the ground floor shoplot of the Wen Ding restaurant, a standalone building that has benefitted from a gazetted public seating space on one side and an easement for loading to J residences. 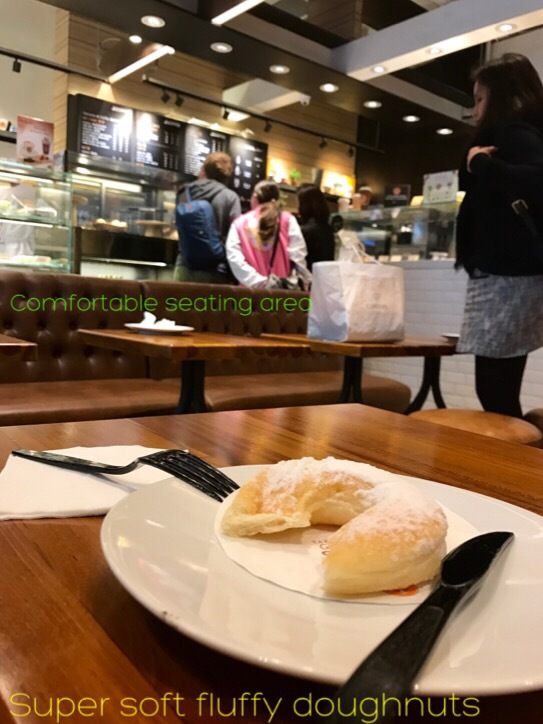 It’s surprisingly spacious… well I suppose the tables are quite small and they’ve maximised the space with stools, but the point is that it’s designed for the maximum number of people to do a quick dessert “in and out”. 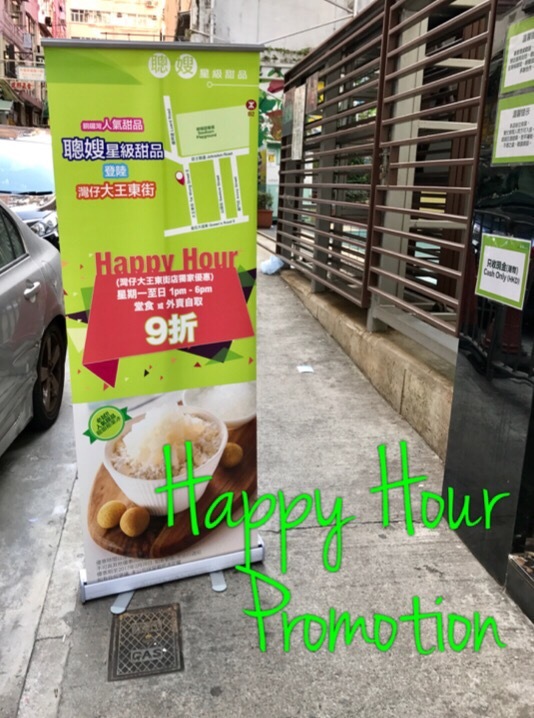 On the pavement, a standee advertises their happy hour promotion. Essentially you get 10% off if you come off peak hours between Monday to Friday between 1-6pm. Good to know. 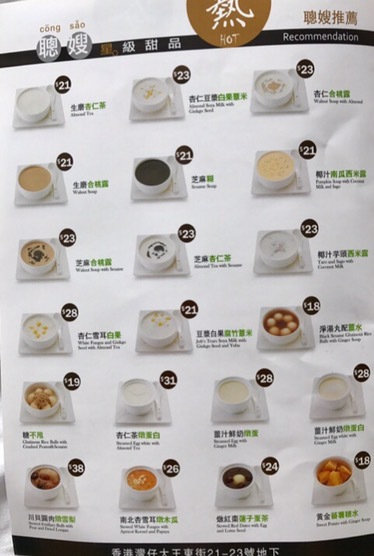 Here’s their menu, you can plan what you’d like to have in advance. HP, for a fluesy friendly dessert, I would recommend the ones below ticked in green. After a Saturday evening swim at Morrison Hill Pool, we were wondering where to eat. I knew that suggesting katsu curry rice would always be a sure bet with SW. 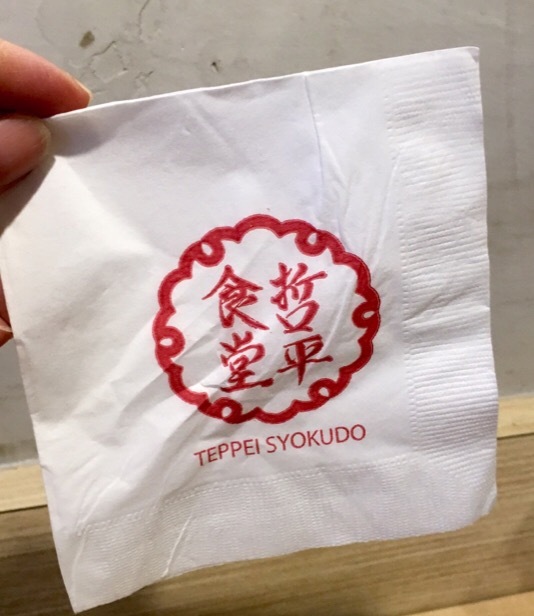 The SCMP recently featured Teppei Syokudo and I thought it’d be nice to support the Singaporean business and get our tummies filled. Finding the place was a little tricky. 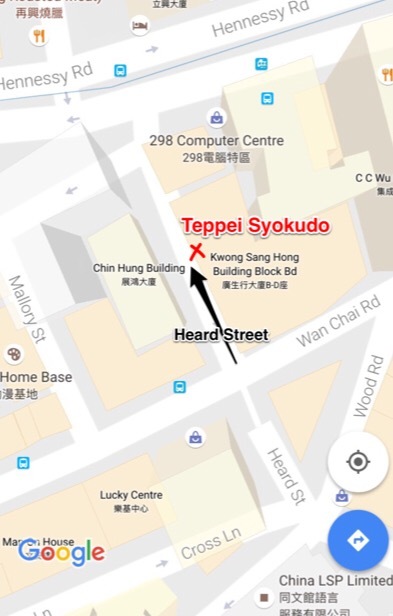 The SCMP’s map is inaccurate and google maps puts it in the wrong place. So here’s the right location where you’ll find this eatery. 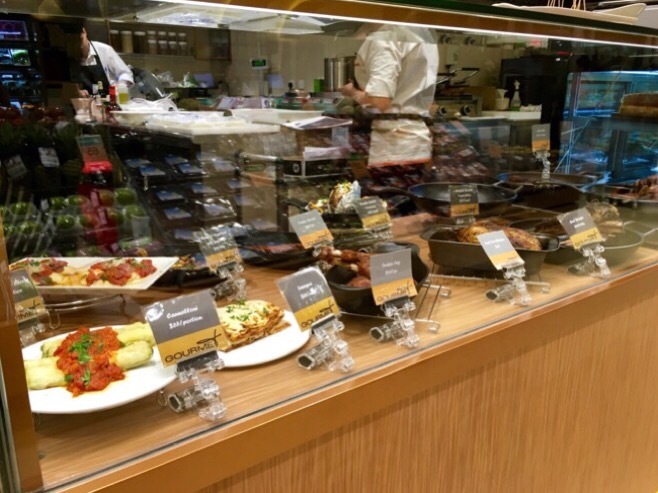 The food is not presented on any fancy dishes- unlike the photo shown in the SCMP’s news article, in fact it comes on disposable plastic ware. 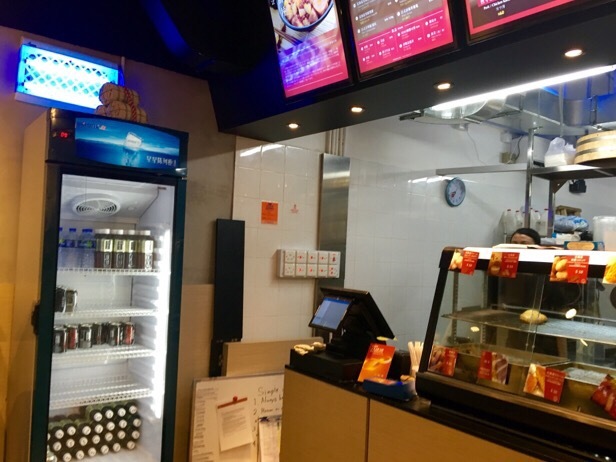 I think this was a tad disappointing (after all, look and feel for “restaurants” is such an important part of customer experience), but I’d like to think that whatever they save in washing up goes into quality staff and food. 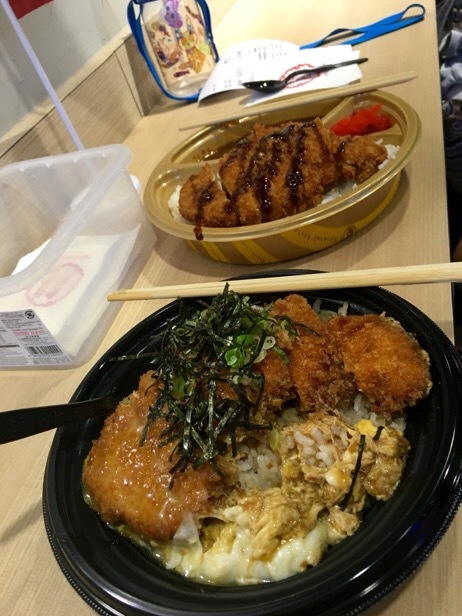 we decided on the Curry Katsu and the Don Katsu. Both pork. No shellfish and not raw. 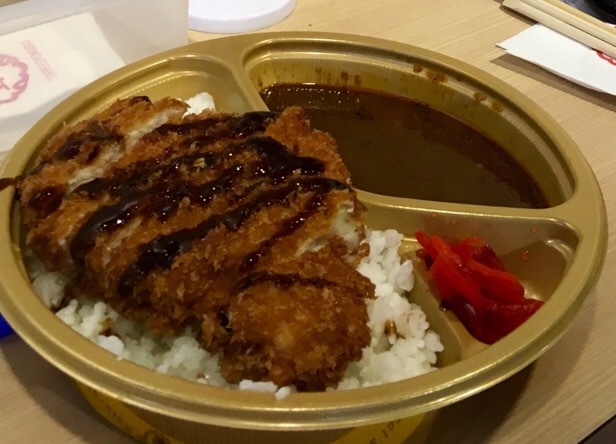 The katsu curry came first. It looked like small-ish portions but once you start eating, it does fill you up. 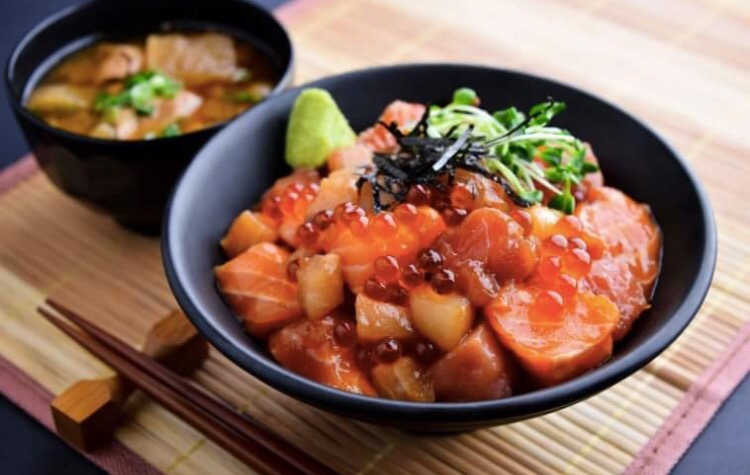 Although if you’re a big eater or just super hungry, you might need to add on another portion. The pork cutlets were well cooked, tender and excellently breadcrumbed. The rice was also tasty and cooked just right. The curry sauce had mushrooms in it and wasn’t too thick with cornstarch (this is a good thing). I wish they could be more generous with the red pickles though. Love those. The drinks selection in the fridge had much to be desired, I think they could make more of an effort to provide clients with a few more choices. We just had a bottle of water. 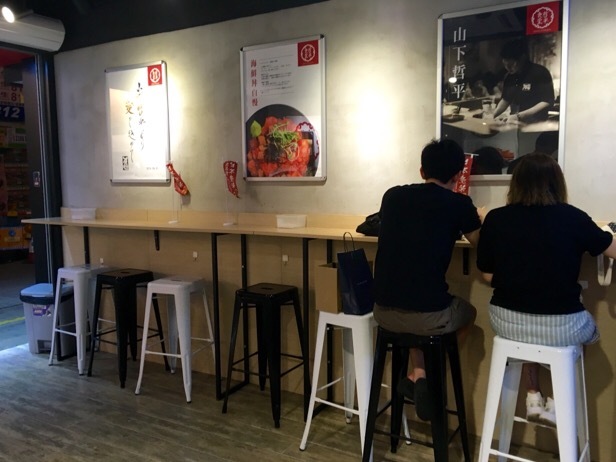 There isn’t much seating space, you’re relegated to about a total of ten barstool seats placed on either side of the joint. They definitely want you to eat and get out of there. Or takeaway I guess. Overall, not bad for a cheap dinner but our small person didn’t like the environment and barstools. 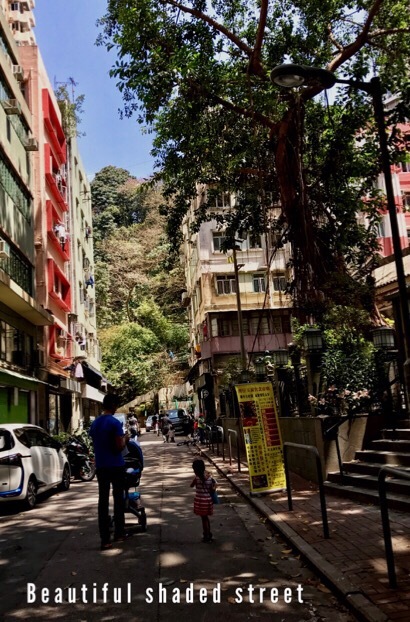 So if you’ve got a kid tagging along, probably best to buy and eat in Wan Chai Park while your kid runs amok in the playground. The basement walkway of Lee Tung Avenue is finally starting to fill out. When I first went there, it was a desolately narrow construction zone full of renovating shops and workmen wheeling concrete in wheelbarrows and carrying tiles with ropes in the most dangerous way possible. 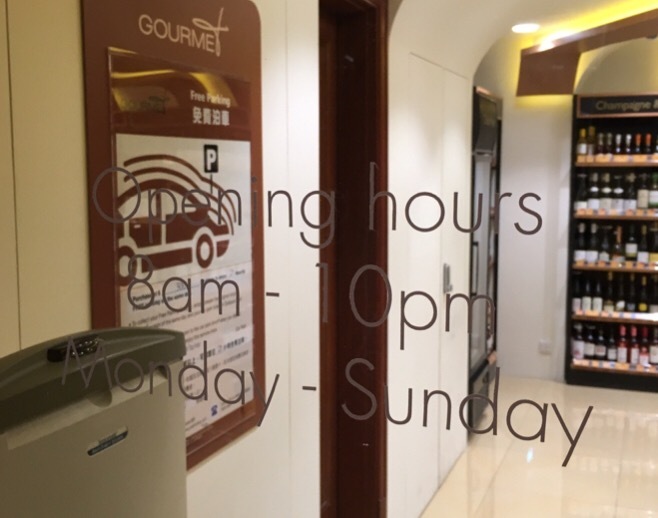 A signboard alerted me to a new tenant, Gourmet supermarket which stated that the date of opening was 30th June. I saw it by the escalators next to the Vivian Tam shop. Curious, I thought I should head down to take a look. The narrow escalators led me down two floors into the basement back door to the supermarket and into the wine section. 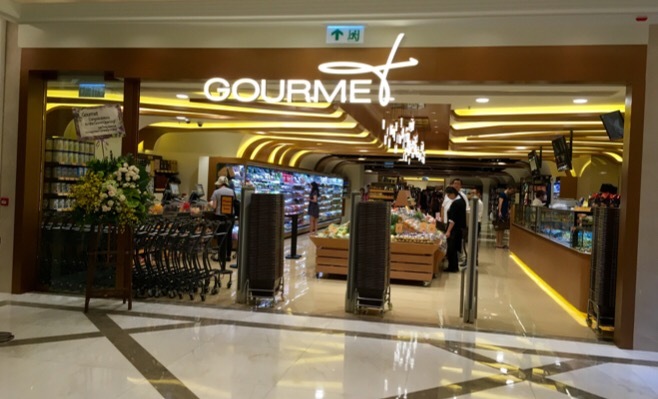 The Gourmet footprint is probably less than 3000 square feet in terms of customer purchasing areas, but it is well designed in terms of corridor aisle space for trolleys and a decent looking deli counter. 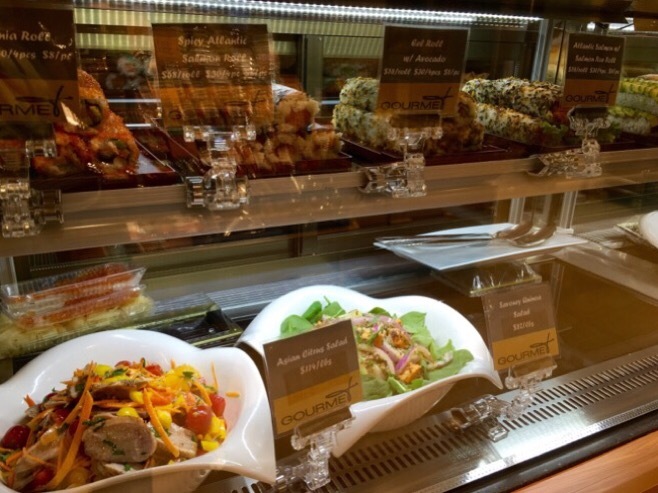 There’s fresh sushi sold by the roll, sandwiches, salads and pastries. 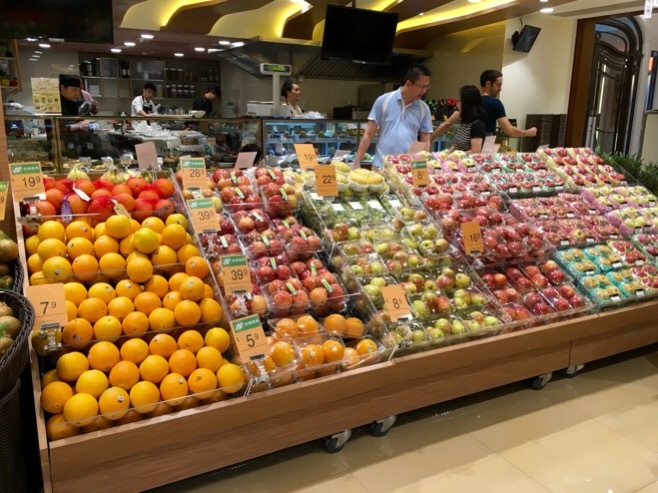 There isn’t a huge selection in the supermarket but it consists of the main essential groceries for breakfast and daily meals. 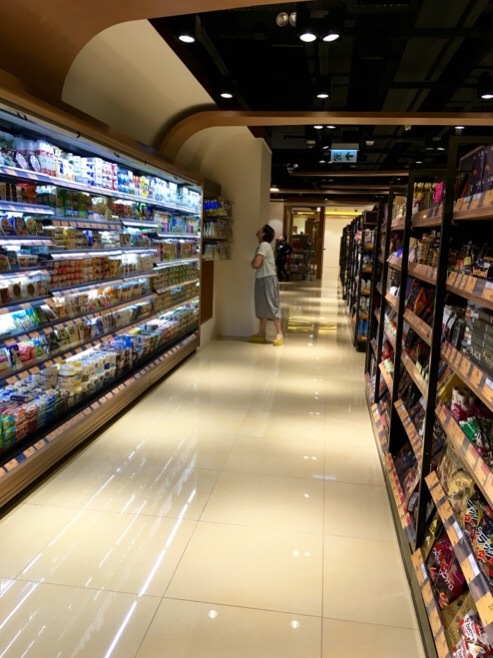 So you’ll find the usual packaged foods and a reasonable selection of fresh vegetables and fruit, although nowhere as extensive as Taste across the road. 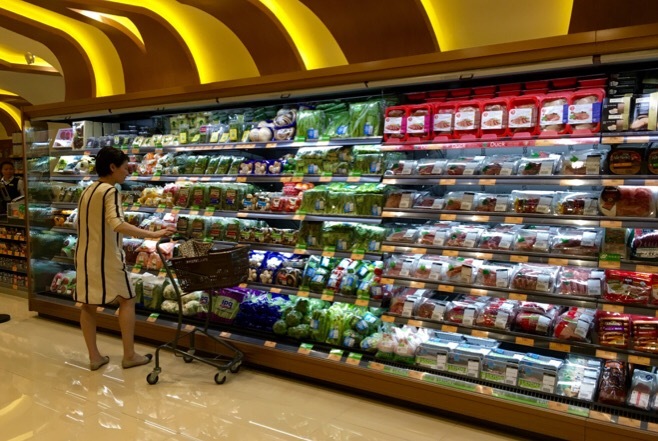 However of what there is, the packaging, display and possibly quality might be slightly higher than those at Taste. I bought a pack of peaches, yet to try them, will let you know. 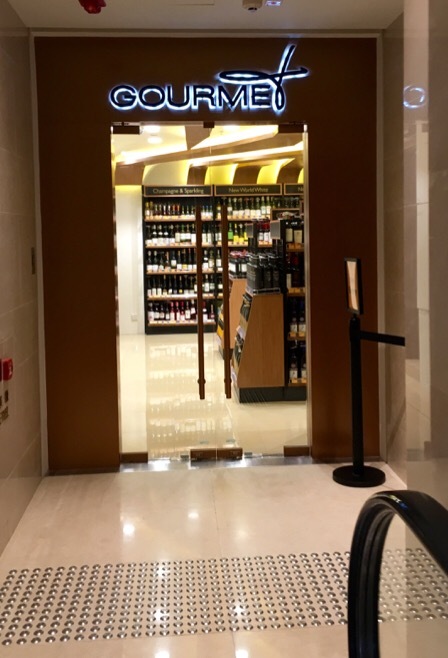 Gourmet is open 8am-10pm daily. This is similar timing to Taste across the street in Hopewell Center’s basement. 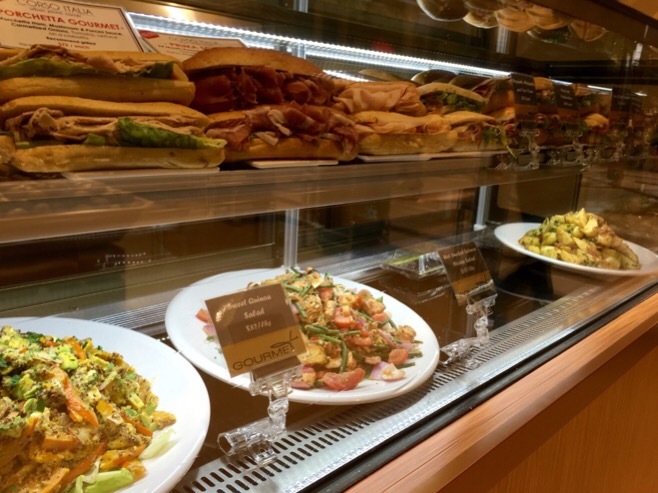 Taste is open 8am – 10.30pm daily.